We’re very pleased to welcome a new lawyer to our team, who will be working in our Community Care department. 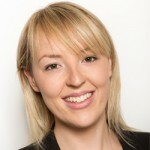 Chloe Smith is a trainee solicitor based in Brighton. Chloe began her training contract at Harney & Wells, before transferring to Martin Searle Solicitors where she will complete her training and qualify as a solicitor.